When it comes down to restaurants the vital and most important thing is to create a comfortable atmosphere that clients will enjoy. Interior designers will be faced with combining restaurant style with menu theme, client target market and owner’s perception. Coming down to the flooring there are even more things to consider – from cleaning and maintenance to safety and durability. It is essential to consider the space it is installed as well. Waiting area. This space is designed to relax people waiting in line to be seated and is the first place clients see when entering. Therefore, it should definitely be a pleasing and aesthetically arranged as the first impression is a ruthless judge. The characteristics of the floor here are to be non-slippery, easy to maintain and clean and very durable. 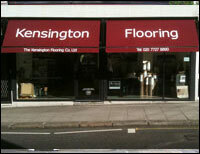 Often owners opt for carpet and here the best choice is a roll or quite durable carpet tiles to give the “homely” feel. Dining room. The centre place of the restaurant and its main area gathers the majority of clients and staff. For a relaxing, warm and inviting atmosphere the usual choice for the floor is wood or wood-like (such as engineered wood, laminate or even vinyl tiles). All should have the sustainability of enduring high traffic, scratches and moisture. Kitchen. The place where food is prepared is usually kept out of the public eye. 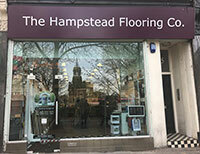 Here the floor should be very hard and 100% waterproof with focus on functionality rather than appearance. Owners prefer to install ceramic tiles with protective melted glass glaze. 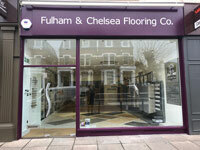 Other options are Luxury Vinyl Tiles; Vinyl Composition Tiles and sheet flooring. Toilets. Often overlooked, these areas require special attention to be made part of the whole place. The water use in here is what needs to be considered and the adequate flooring choice is the old-fashioned concrete. It is a low-cost solution and is usually found in the subfloor. It will take only a proper sealing and the place is ready for use. 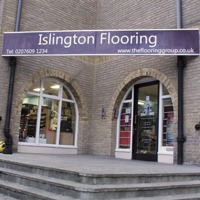 Whatever the final decision will be The Flooring Group will guide you to the best manufacturer and supply the top quality products on the market. 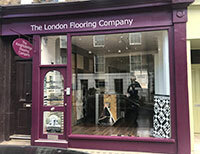 Let us be your commercial flooring contractor for London and South of England.